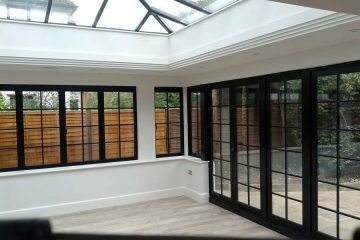 We offer the most complete house glazing services for domestic and commercial properties. 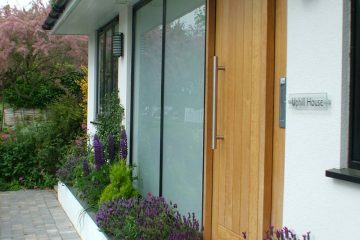 Both modern and attractive, ‘Barn Glass’ range of Bi-fold and sliding doors make an eye catching addition to your home. 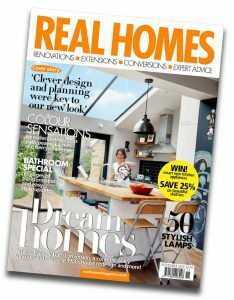 A wealth of knowledge and expertise we have gained in this time being associated within the rooflight industry. 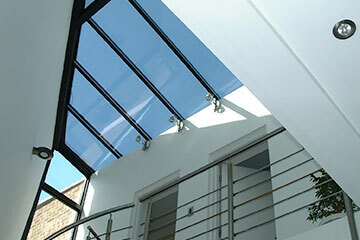 Looking for a quality glazing for your commercial or domestic project? 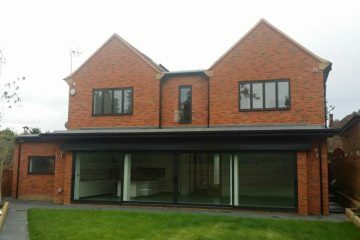 The Barn system of Patent Glazing and Rooflights is a self draining system of dry glazing for pitched and vertical applications. 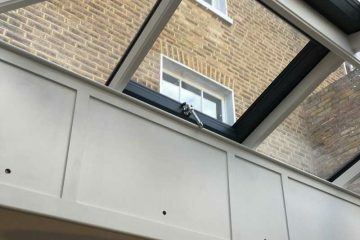 Using traditionally proven materials of glass and aluminium Barn Glass Group in conjunction with the designer/specifier are able to offer purpose built rooflights to suit almost all requirements. 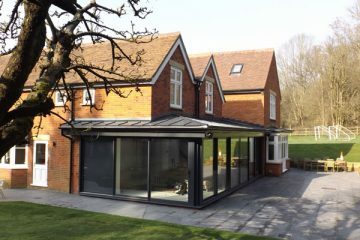 Barn Glass, a company with a proven track record over the last 65 years, has been the first choice for many specifiers, architects and contractors requiring rooflights, patent glazing and glazed atriums. 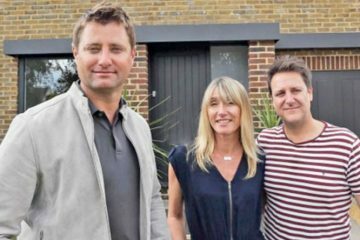 Kelly Ohlmus and her partner Darren Taylor fell in love with their house the moment they walked in, but knew they wanted to remodel the back of the house. 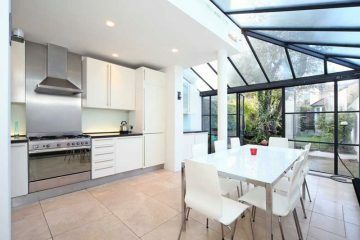 An extension had already been done by the previous owners, but the single skylight above the kitchen, looked dated and needed reworking. Kelly asked local designer Liz Biagini for help. 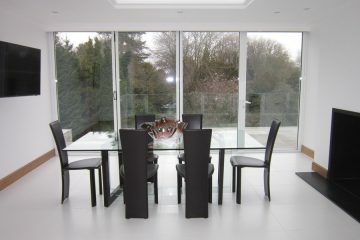 Kelly loved the idea of using glass to let the sunlight in, as she wanted to achieve a light and airy area. 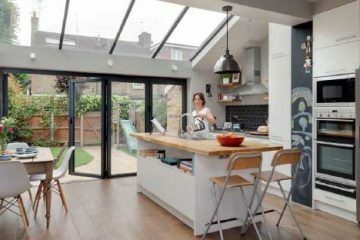 So Liz incorporated a 4 panel rooflight and floor to ceiling bi-fold doors into the plans. 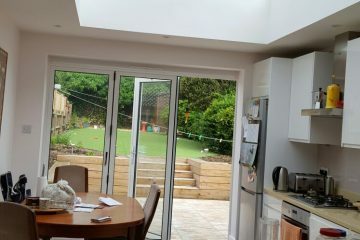 As part of a major kitchen renovation we wanted to modernise and improve our conservatory roof, which was supplied (but not fitted) by Barn Glass about 15 years ago. Mark and the team were very helpful in outlining the upgrade options available and responding to changes as our thinking progressed. When the time came for the old panels to be removed as we waited for the new panels to be installed, the weather was at its coldest and wettest but they did a great job to keep us dry and reasonably warm. 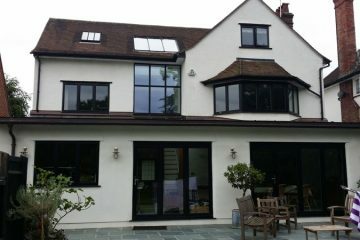 A job like this was never going to be easy but the end result is fantastic and has transformed the kitchen. We are happy to recommend Barn Glass. 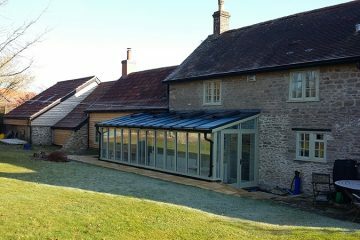 We were given Barn Glass’s name from a neighbour who had new windows and bi-fold door put in by them few years back and couldn’t rate them highly enough. So we called and spoke to Mark, he arranged for Rob the surveyor to come round, very helpful gentleman. From the initial phone call to end of installation the service was excellent, and kept us informed the whole way through.We are delighted with the work they did. Had glazed lean too installed by Barn Glass, opened up area, and brought in loads of light really happy with the service and advice given by the team at Barn Glass. Thanks again, will use again for future projects. From lady on reception at first call to installation by fitting chaps, excellent service. Recently acquired old property, which needed lots of work, knew of Barn Glass from Architect used in London. 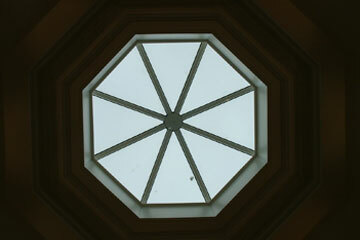 Had new bi-fold installed, skylight in stairwell, and lantern lights in extension at back. Few problems my end, which caused delays but guys at BG helpful and got job done in end. Thanks for patience Mark, will be in touch when summer house project ready.